AurorA-TT bridges the gap between discovery/early development projects towards clinical development, market, licensing and partnerships. AurorA-TT aims to translate research findings from academia and R&D institutes into druggable and marketable appealing assets to receive support by the venture capital community and biopharmaceutical companies. Research projects within the Italian academic and R&D arena are scouted, sourced, incubated, accelerated, supported and presented to external partners to receive support for the execution of product development plan within project-specific companies. 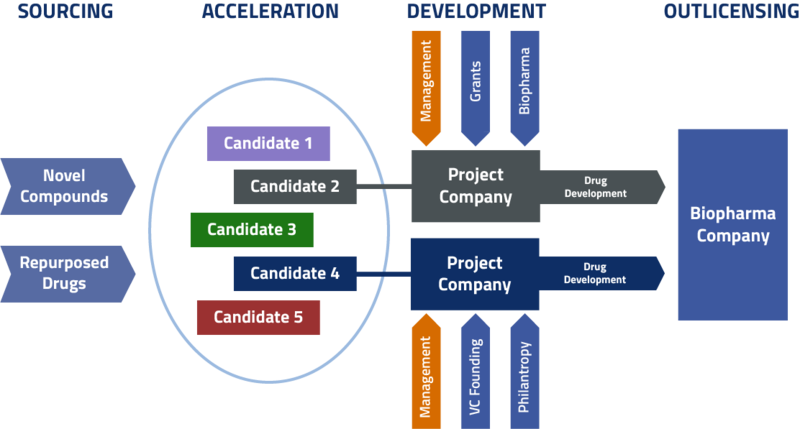 This gives projects the chance to reach market through out-licensing agreements with biopharmaceutical companies and through spin-off models. After sourcing, AurorA-TT executes a number of activities to meet minimum requirements and to achieve support from external partners.